ELIZABETH CITY, NC – The Super Bowl was just this past weekend, but it seems like it was ages ago already, doesn't it? Of the hours and hours that you had your television streaming on Sunday, you probably don't remember all of the commercials or parts of the game anymore. But, in addition to Chevrolet's Super Bowl Commercial that we covered on Monday, there is one more Super Bowl ad worth noting again – Jeep's 2015 Super Bowl Commercial that takes you around the world in 90 seconds! 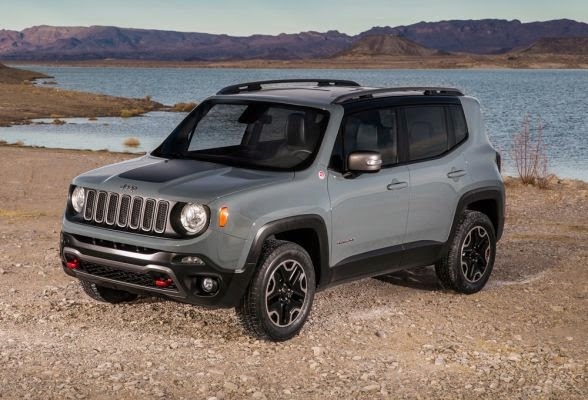 While the 2015 Jeep Super Bowl Commercial featuring the Renegade may not have been the flashiest or funniest commercial on Sunday, it definitely strikes a chord with Jeep fans! The commercial focuses on the brand new Jeep Renegade, but it actually keeps its distance as to not fill the entire 90-second spot with just imagery of the SUV. Instead, set to "This Land Is Your Land", the Super Bowl commercial puts the spotlight on all of the places the new Renegade can explore – giving us a look at some truly amazing scenes around the world! If it's your dream to live life to its fullest and explore every inch of the earth, there's only one vehicle to rely on: a Jeep! Come see us to explore your options and find a Jeep that suits your needs. Perry Auto Group has two dealership locations to serve you better at 1005 W. Ehringhaus St, Elizabeth City, NC, 27909 or 1001 Halstead Blvd Elizabeth City, NC 27909. Stop in for any of your auto or community needs, or feel free to give us a call at (252) 338-9100.